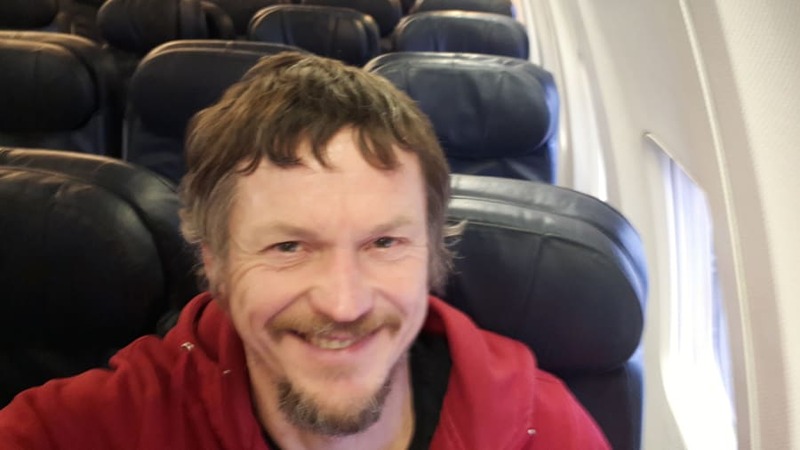 But the Lithuanian national, who was flying from Vilnius to Bergamo for a skiing trip on March 16, was in for a shock when he discovered he had the entire Boeing 737-800 to himself. Strimaitis suspected something was amiss when he went to check in at Lithuania's Vilnius International Airport and was told the crew were waiting for him. "The crew seemed quite confused at first," he tells CNN Travel. "Maybe it was a new experience for them as well. Of course, this isn't the first case of a passenger inadvertently getting the private plane experience. Karon Grieve was the only passenger on board a Jet2 airlines flight from Glasgow to Crete in 2017. The Scottish author tweeted an image of her experience, saying she "felt like a VIP."